while Grenache Blanc adds peach, yellow apple and roundness. 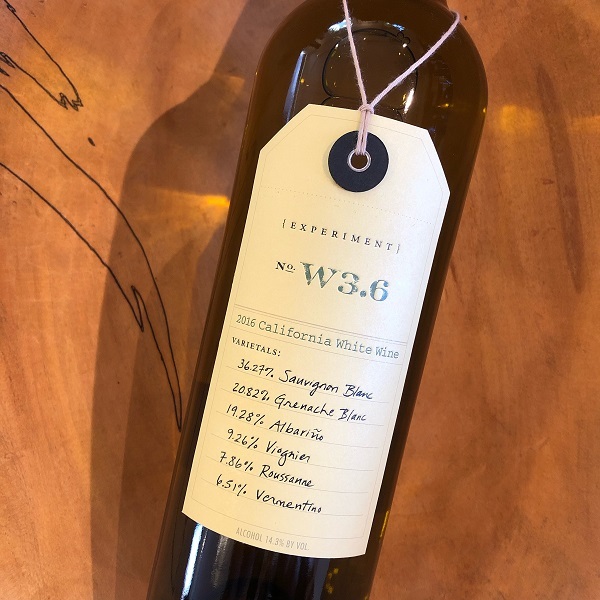 When blended with the Sauvignon Blanc, Albarino, Viognier and Roussanne, this Experiment wine exudes notes of peach, lemon blossom, papaya, passion fruit, tangerine, custard, honey suckle, wisteria and macadamia nut. It is a full-throated chorus on the palate with lively acid and joy.” Austin Peterson, winemaker.